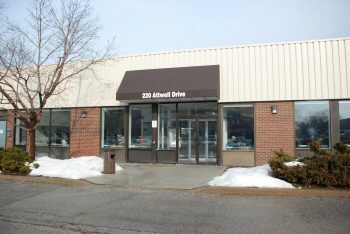 Attwell Employment & Social Services provides drop-in services and resources to help you during your job search, and issues financial benefits through Ontario Works. TTC Directions: From Kipling subway station, take the 112C West Mall North bus or from Lawrence West subway station, take the 58 Malton West bus to 220 Attwell Drive. Employment services, supports and resources for job seekers customized to meet individual needs. One Employment Ontario partner representative will be available onsite on the 1st or 2nd Monday of each month from 10 a.m. until noon. A record suspension support worker will be onsite every 2nd Wednesday of each month from 2 – 4:30 p.m. to provide information on the criminal record suspension process. Learn about the application process, the rules around how and when to apply, and how this process can improve access to education and employment opportunities. This is by appointment only. Please contact your caseworker or the Employment Centre at 416-338-8888 to schedule an appointment. A legal clinic lawyer will be onsite twice a month on Mondays or Fridays to review fully completed Ontario Disability Support Program (ODSP) Disability Determination Packages and all of the required supporting documentation with Ontario Works (OW) applicants prior to mailing. This service is for OW clients and by appointment only. Please contact your caseworker for more details or to arrange an appointment. Settlement, interpretation, and immigration services and support completing government forms, onsite every Wednesday from 10 a.m. – 4:30 p.m. Please contact the Employment Centre at 416-338-8888 to make an appointment for an assessment or referral. Essential Skills assessment and basic computer literacy support, onsite every Wednesday from 9:30 – 11 a.m. Please contact the Employment Centre at 416-338-8888 to schedule an appointment.